Yes, you've read that correctly. 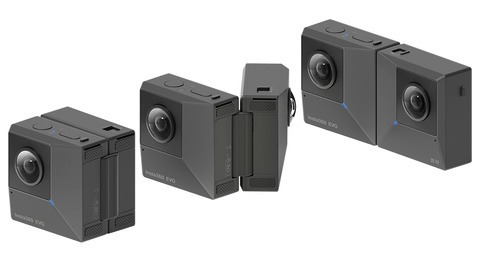 Nokia, the former maker of my favorite cell phone in which I could play "Snake" during high school math class, has entered the hot new virtual reality camera market. A lot of the camera details are scarce, such as pricing and when it will ship to the consumer market, but there are some key functions I am very intrigued by. As Fstopper's resident virtual reality filmmaker, I am hesitantly optimistic. Read below to learn why. It has 8 lenses with global synchronized shutters. This is awesome because with all of these companies out there pushing GoPro based 360 camera systems (including GoPro and Google), global sync is a huge issue. It's essentially impossible to activate all GoPro's at once, even if you do use audio or visual slates, which makes post-production annoying. I've also noticed when filming aggressive action scenes with GoPro systems, there are often timing and sync irregularities that become painfully obvious in some of the cameras. 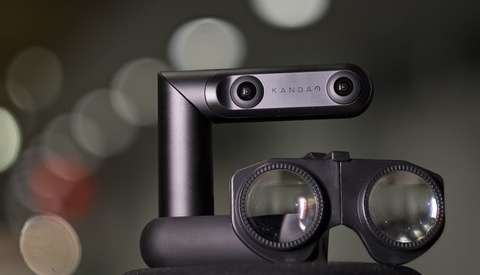 Thus, a turn-key 8 camera rig with sync'd shutters is an exciting prospect because that could potentially save hours off of the post-production process for VR filmmakers. 8 Integrated microphones that apparently record sound spatially. For example, if a person is talking to the camera's right, you'll hear it on the right, and if you turn your head while viewing it on a VR headset so that the person talking is on your left...you'll hear them on your left. You get the idea. The problem? Not every 360 player allows for spatial audio playback, but some do, such as Samsung's own MILK VR app. I'm sure more will allow spatial audio playback in the future. 3D stereoscopic video recording - There's 2d virtual reality / 360 videos, and then there's 3d or stereoscopic 360 videos. Stereoscopic is a hot catchphrase in the VR industry right now, but very rarely have I seen it executed effectively. First, like with spatial audio, only a few apps/platforms can actually play stereoscopic footage. Sure, you can play it on your own computer on your own oculus rig, but what about apps in which we share content with the public? Again, there are limited options, but more will be coming soon. Also, I have rarely seen stereo footage of action scenes/movement where there isn't huge stitching or parallax issues. I won't bore you with details, but it has to do with camera positioning and distance to subject while also filming concurrently in all directions. Sure, there's ways to shoot with a 3D camera a film in quadrants (essentially filming 1 scene 4 or more times from different camera positions). Some VR camera makers have boasted that they have solved stereoscopic filming issues, but few have effectively delivered on this promise. I hope Jaunt and Nokia actually did a good job developing a 3D system that works properly for all/most filming scenarios, not just stationary ones where subjects have to be at least 5 or more feet away. Immediate low resolution stitched video review. That means you can reviewed stitched footage almost immediately after filming a scene rather than having to import multiple cameras into a computer and stitch everything, thus losing hours (and money) on set trying to review and confirm footage. This is a CRUCIAL function I am excited to see. 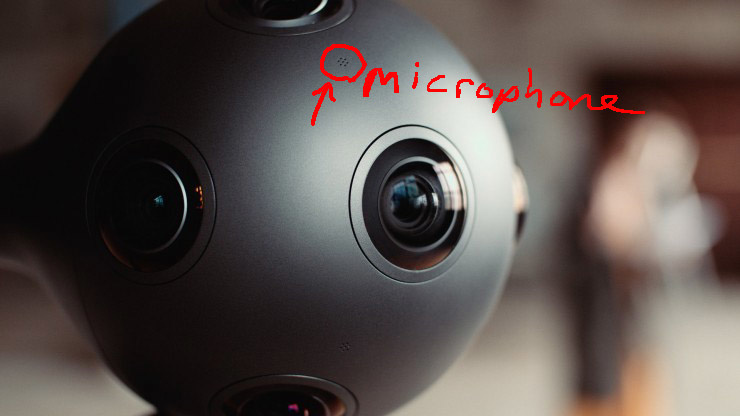 "Software built for OZO enables real-time 3D viewing, with an innovative playback solution that removes the need to pre-assemble a panoramic image ­­- a time-consuming process with solutions currently in the marketplace"
It's 6 pounds, which means for a VR rig, it's not truly light enough to comfortably put on top of a helmet without causing discomfort for capturing action (just my humble opinion), but it is not so heavy that it will cause issues in other mounting scenarios. Final specs and price TBD. They are up against a comparably-equipped GoPro-based systems and trying to appeal to the advanced amateur to pro market, I would bet it will be around $7500-10,000. Although, if they were smart about it, they would keep it to $3-5k...but hey, I've been wrong before! Can't wait to see how this technology develops! Very cool, but I wonder how it compares to the Sphericam 2 which shoots in 4k, is the size of a tennis ball, and is weather sealed. Not to mention the fact that it's expected to run something like $1500-$2000 when it's released in December 2015.
im anxious to know too!